On 2 August 2017, following days of political discussion and speculation, President Trump signed into law the “Countering America’s Adversaries Through Sanctions Act” (CAATS), imposing new sanctions on Russia, Iran and North Korea. While the question of the nature of these new sanctions has been addressed in a previous post [here], a specific topic – of particular interest and importance for EU entities – remains to be tackled: that of the extra-territorial application of these sanctions. Implementation of the US sanctions: the EU is prepared and intends to defend its economic interests vis-à-vis the US. Following the adoption of the bill by the House of Representative on 25 July 2017, several EU countries, together with the EU Commission, had expressed their concern about the impact of the sanctions, in particular on the European energy sector. Indeed, Section 232 of the CAATS allows for the imposition of sanctions on a person who knowingly invests in, sells, leases or provides to Russia, for the construction of Russian energy export pipelines, goods, services, technology, information, or support. The sanctions, listed in Section 235 of the CAATS, range from a prohibition on access to financing by US institutions, and a vote against such financing by international institutions, to a prohibition on foreign exchange and banking transactions, asset freezes and visa bans. This broad wording of the CAATS provides for the possibility to regulate the activities of EU entities, despite the absence of personal or territorial connecting factors with the US. This potential extra-territorial application of the US sanctions may therefore affect EU companies dealing with the infrastructures transporting energy resources to Europe, such as the Nord Stream 2 gas pipeline (from Russia to Germany) or the Baltic Liquefied Natural Gas plant project. The addition of the specific wording “in coordination with allies of the United States”, as a potential opt-out, in Section 232 appears to have appeased – for now – EU concerns, although Jean-Claude Juncker, President of the EU Commission, reserved in a statement issued on 2 August 2017 “the right to take adequate measures” should European interests not be taken into account in the implementation of the sanctions, adding that the EU is prepared and intends to defend its economic interests vis-à-vis the US. Should the diplomacy card not have the desired result, other options remain available to the EU. 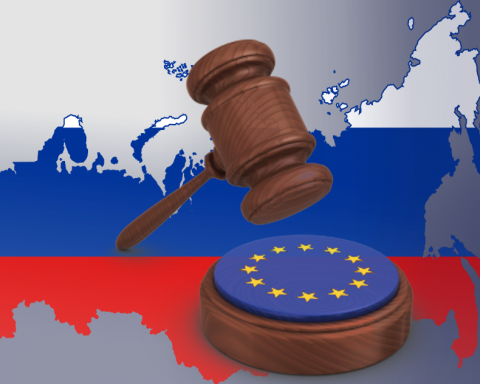 First, the EU could file a claim before the WTO Dispute Settlement Body, as Russia threatened to do in 2014 following the adoption of the US Ukraine-related sanctions. Secondly, the EU Council could adopt a “Blocking Statute”, preventing the application of the US’ measures, recognition and enforcement of the US’ decisions within the EU, and providing for a recovery mechanism should damages be imposed on EU entities. Both options were already used by the EU, since the adoption of extra-territorial sanctions by the US is indeed not without precedent: in 1996 the US sanctioned Cuba, Syria and Libya through the adoption of the Helms-Burton and d’Amato-Kennedy Acts, leading to a WTO claim in relation to the Helms-Burton Act and to the adoption of Council Regulation (EC) n°2271/96 of 22 November 1996 protecting against the effects of the extra-territorial application of legislation adopted by a third country, and actions based thereon or resulting therefrom, to address both the Helms-Burton and d’Amato-Kennedy provisions. At this stage, it remains to be seen how the US will implement and enforce their new set of sanctions. It seems clear, however, that the EU, as well as its Member States, are prepared to take active measures to prevent any adverse impact on EU interests. Dr. Aurore Marchand, attorney-at-law, is a senior associate in the Commercial & Litigation department of Loyens & Loeff Luxembourg. Aurore specialises in dispute resolution, and advises on commercial and civil law. Her areas of expertise also include insolvency law, international private law and financial sanctions. 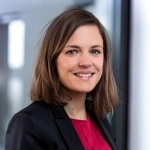 Holding a doctorate in law and qualified to the functions of senior lecturer (Maître de conférences) (Private Law), Aurore is also adjunct senior lecturer at the University of Luxembourg where she teaches tort law and EU international private law. Before joining Loyens & Loeff in November 2016, Aurore acquired six years of experience in the litigation department of a leading full service law firm, where she was a senior associate. Aurore was also a teaching assistant at the University of Nancy, where she taught contract law, liability law, trade law, family law, and international private law. 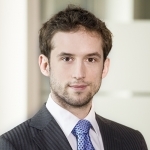 Aurore is the author of a book entitled "L'embargo en droit du commerce international", published by Larcier (2012) and of articles in various legal publications. Her scholarly publications focus on EU international private law and financial sanctions. She is also speaker at various conferences in particular in the area of financial sanctions. Aurore was admitted to the Luxembourg bar in 2011.